First of the "American Standard" events, Jonathan Phelps screened "Kill The King," alongsids "Moshers" and "Paraders" by Jimi Pantalon. Jonathan was a cinematographer and editor in both of Jimi's films. 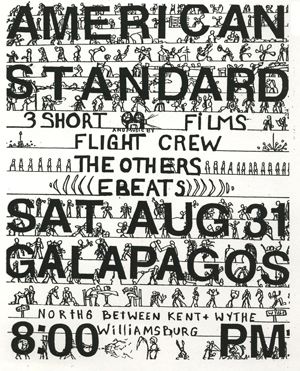 The filmmakers also presented video projections for the bands Flight Crew, The Others, and EBeats.